Make your own dottng tool by staff you have at home. An easy and cheap way to be creative . 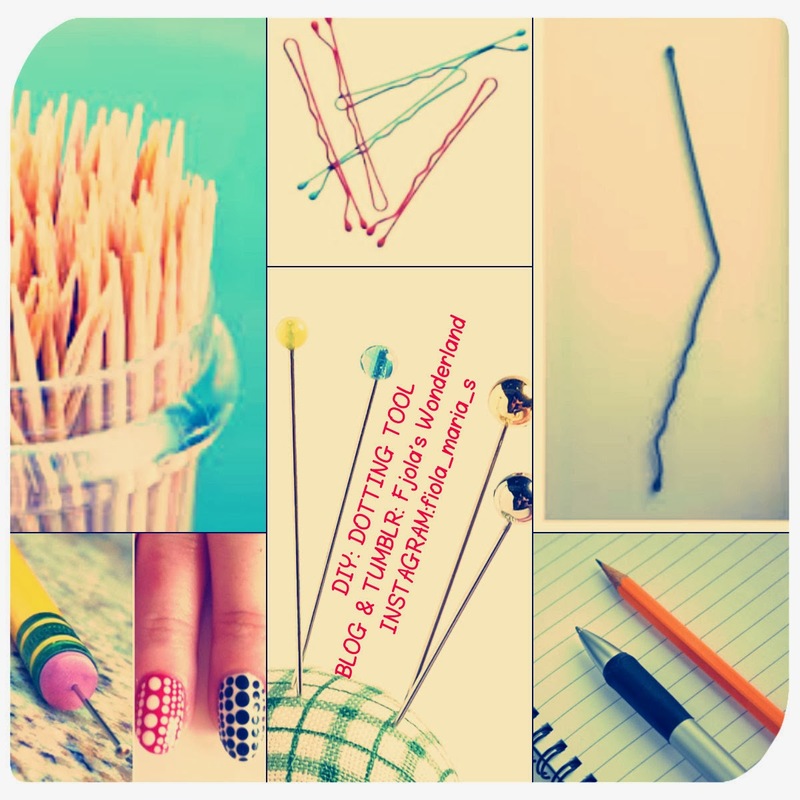 TOOL1: Bobby pin .Yeah ladies bobby pin.Something cheap, easy to find and all of us have one. Pull thebobby pin ,open it and then dip one end in the nail polish.Aplly asrequired nd your done!!!! TOOL2: Use a straight pin from your swing kit. Hold carefully to avoid shake. Straight pins have variety of heads, so you can pick the one you want and make different sized dots.To avoid pinching from it, you could pinch it at the top of the pencil rubber. TOOL3: Use a ballpoint pen. Take a pen that you have or a pencil and start dotting. TOOL4: Toothpicks!!! Toothpicks do small dots.But if you want bigger one then you hold down the toothpick long enough and use enough nail polish (the sizeof the dot will grow ).